For Grant Pauly, founder and brewmaster of 3 Sheeps, brewing beer is a family tradition. In the mid 1920's, their family purchased a struggling brewery and turned it into a thriving business. Fast forward a few decades and you have Grant, an avid homebrewer with a dream to open up his own place. That dream quickly became reality when the doors to 3 Sheeps opened up. Since then, the team has been pumping out incredible beers, expanding like crazy, and even had the time to make the brewers version of a swimsuit calendar. From their flagship IPA Really Cool Waterslides to their coffee-infused, Hello My Name Is Joe, you'll find something to quench your thirst. 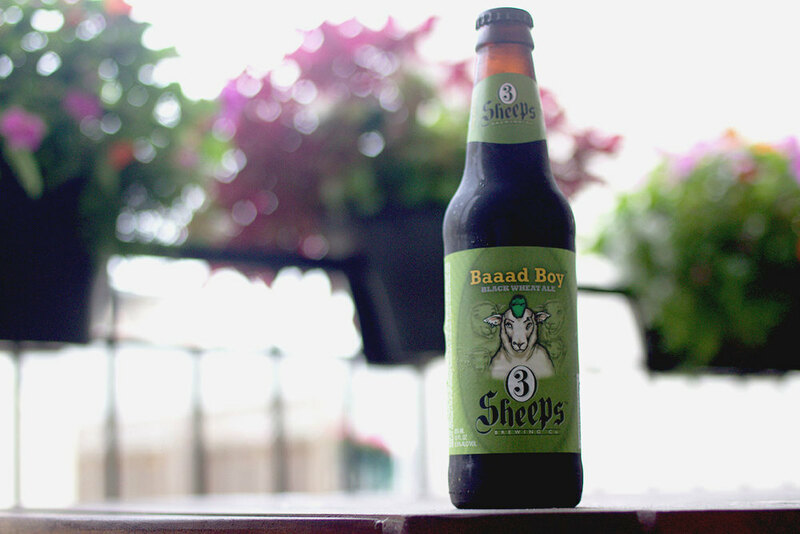 You can pick up 3 Sheeps Baaad Boy at Bottles & Cans (4109 N. Lincoln Ave.) in Northcenter. If ya get to Bottles & Cans, ask for other recommendations from owners Joe and Carly or any of the other knowledgeable staff on hand. And tell 'em we say hey! Here's a beer that's perfect for all those who say dark beer is heavy. Baaad Boy has the chocolatey, coffee, and roasty notes you would expect from a dark beer all packaged in an easy drinking wheat ale. Out of the bottle this pours an extremely deep brown,almost black, with a proud cap of mocha colored head. Made up of rather large bubbles, the head on this dissipated rather quickly after pouring. On the tongue you get strong flavors of chocolate and coffee, very reminiscent of an iced coffee and just as refreshing. There's a nice balance between the sweet and bitter notes, but this one swings more to the bitter side. Baaad Boy was incredibly smooth, even silky with a lower level of carbonation. If you are looking for an easy drinking beer that'll help with the transition to fall, pick up a sixer of Baaad Boy.